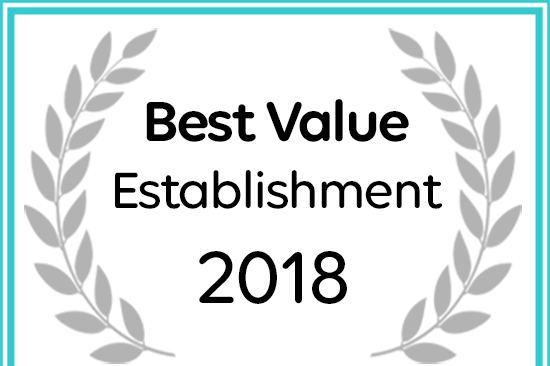 Stellenhof Farmstay B&B has been named a 2018 Best Value Establishment. Kindly note that our establisment is a FARMSTAY B&B which means you will be travelling on a dirt / gravel road for about 3km if you are coming from Addo side. If you are coming from the N10 using the thoroughfare, it is a dirt road for about 20km but you might be lucky to see some wildlife on route to the B&B. After Port Elizabeth follow N2 until exit Markman Motherwell / Addo National Park. ( R335) Keep following R335 until in Addo. Then after the petrol station turn right, this is a tarred road shortly followed by gravel after the two railways. Follow this road for about 3 km until you see the gate on your left hand side. Follow N10 until you are in Paterson. Turn left into R335. Follow road until police station, then turn left,this is a tarred road shortly followed by gravel after the two railways. Follow this road for about 3 km until you see the gate on your left hand side. Follow R72 until T- junction with N10. Turn right in the direction of Paterson. When you see Schotia Safaris turn left into gravel road. This is a road which leads through the Addo Elephant Park with no entry fee as it is a thoroughfare. Just tell the security people that you are passing through. After the second gate you will find our entrance on the right hand side.